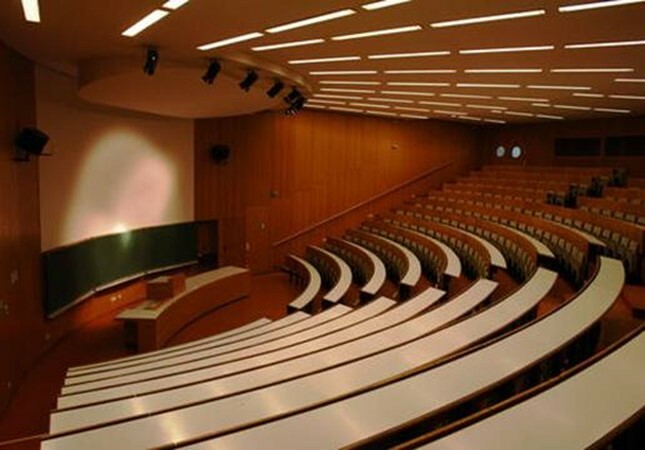 On average during standard school hours universities only utilize about 49% of their classrooms. This seems like a waste. If you could bring that up close to 100%, then you could shut down half the buildings on campus and pass the cost savings onto students. The trend itself is odd. College administrators can schedule classes whenever they want, and don’t have to worry about surges in demand the way restaurants do. Moreover they know exactly how many students they will have each year since there’s no shortage of college applicants. Professors prefer to schedule classes so that they can come in late and leave early. This creates peak surges of demand. There’s a mismatch between demand and supply of certain types of classrooms. Budget cuts have meant that classes have become bigger, while the classrooms might have been designed for smaller class sizes. One solution would be to charge departments for the classrooms they use – with prices rising for the most in-demand locations and times. That way they would have an incentive to schedule classes in rooms that aren’t often used. Read more about classroom utilization at UNC-Chapel Hill, why agricultural routes might be the main source of the problem, and other strategies for dealing with this waste over here. The World Is Getting Weirder. Here’s Why.